Orochi provides a hands-free, no-worry solution to wheelchair users for enhanced outdoor experiences. Above all, we believe that it should never be a hassle to do the things you love. That’s why we created attachments that allow you to walk your furry, four-legged friends and capture photos on your journeys, while still maintaining full control of your wheelchair. 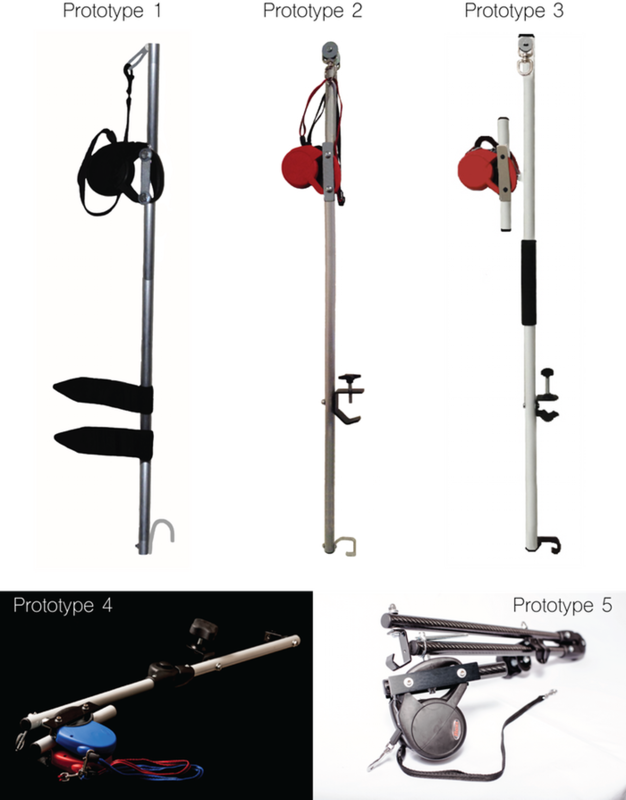 *All Orochi sciLeash & MobileMount pictured and in videos are working prototypes. The production versions will contain more details and finishing. Carbon Fiber Base: 3x lighter than aluminum. The tubing uses a twill wrap design and a high gloss finish. A 360-degree rotating adapter holds the retractable leashes apart from the main base to unwind twisted lines without having to take off the hooks. Rewards come with Flexi leashes, but the sciLeash adapter is compatible with any retractable leash brand on the market with an inner handle width of 3-inches. A rotating C-Clamp on an Adjustable Clamp Bracket gives versatility to mounting on either side and on different types of frames (rigid, tapered, folding, etc.). A Hook Bracket anchors the base to the footrest frame tubing. For safety & emergencies, a Quick-Release Pin is pulled to separate the leash holding adapter to prevent pulling and dragging the wheelchair. A Ratchet Joint is used to fold the Orochi for easy storage and transport. Delmar, Thank you. Please come on back.